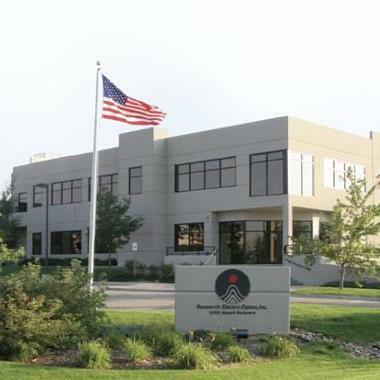 REO Marks 20 Years of advanced optical products and assembliesREO Inc.
Headquartered in Boulder, CO, the company serves the demanding optics, thin film and assembly requirements of the laser, military/aerospace, semiconductor fabrication, materials processing, telecommunications and life sciences industries worldwide. REO was originally formed in 1980 as the electro-optics division of Particle Measuring Systems (PMS), a manufacturer of laser based contamination measurement instruments. While part of PMS, REO developed substantial expertise in the manufacture of HeNe Lasers, superpolished optical surfaces and high performance thin film coatings using ion beam sputtering technology, leading to an ever increasing business outside of PMS. In 1994, founder Robert Knollenberg spun REO out of PMS as a separate company in order to more effectively serve and pursue business with external customers. During the late 1990’s and early 2000’s, REO continued to grow and develop its reputation as one of the world’s leading optics manufacturers. Then, in 2008 REO absorbed the assets and many of the employees of Coherent’s Auburn, California optics manufacturing facility into its Boulder, Colorado facility, adding expertise such as vacuum assemblies, diamond turning, APS and IR thin film coating technologies. This substantially increased REO’s ability to produce optics and assemblies in the ultraviolet, visible and infrared.